With Valentine's Day falling on Saturday this year, I am sure a lot of couples and lovers are planning for a romatic dinner date. 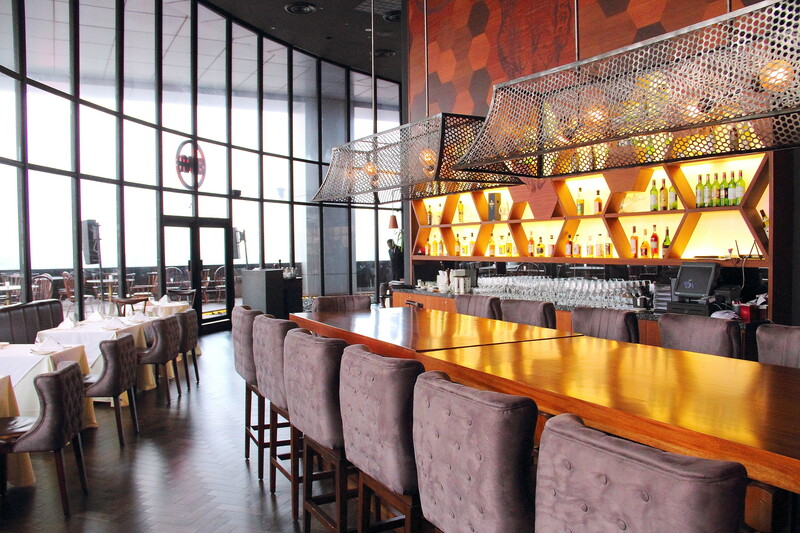 If you are still researching and looking for a restaurant, I would recommend Sear, a modern American steakhouse recently opened in November 2014 on the 45th storey of Singapore Land Tower overlooking the scenic Marina Bay. Specially for Valentine's Day, Executive Chef Claudio Sandri has specially created an elegant three course meal for this special day. 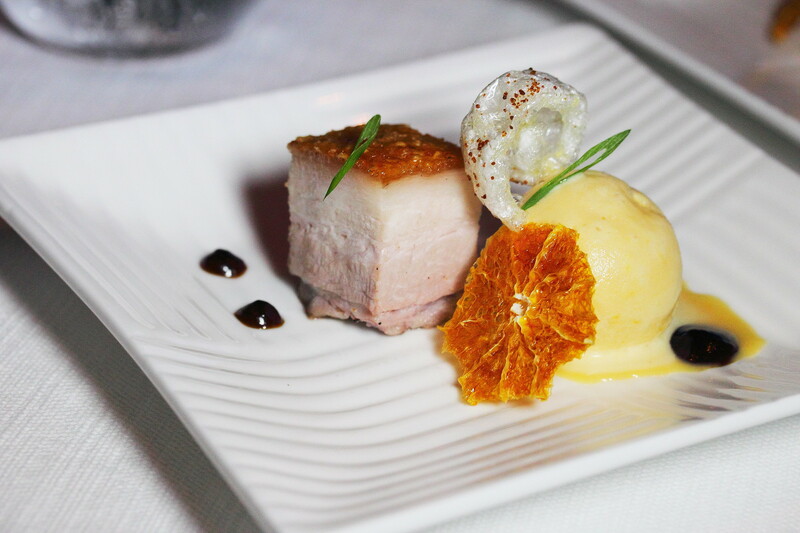 Tempting the palate, is the amuse bouche of Crispy Pork Belly with clementine sorbet and hoi sin sauce. The pork belly was perfectly done with crackling skin and succulent meat. I like the pairing of the sorbet more than the hoi sin sauce. Nevertheless, this is a beautiful dish to impress your perfect. Do note amuse bouche is only available for the second seating. For the starters, there is a choice of Seasonal Oysters, Grilled Hokkaido Scallop & Foie Gras or Sweet Corn Soup. 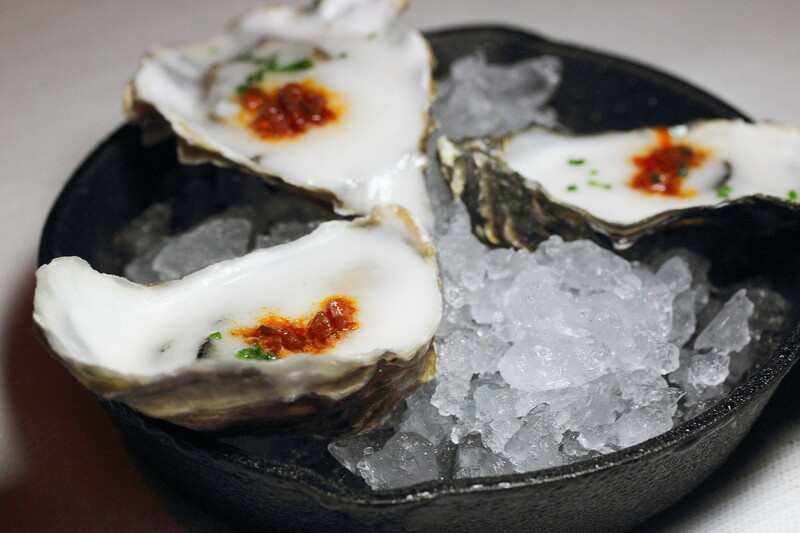 The seasonal oyster is paired with iberico chorizo and tomato cloud to boost the natural creaminess of the oyster. 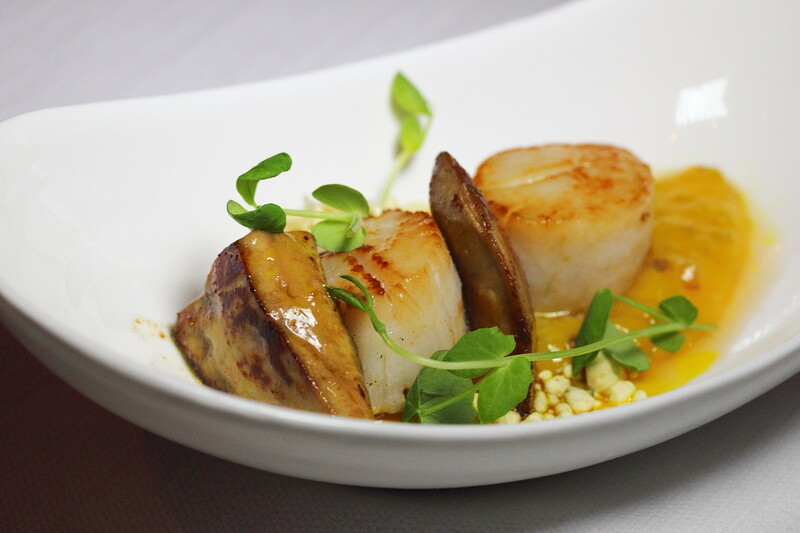 The sweet and plump scallop was beautifully seared and paired with the foie gras. 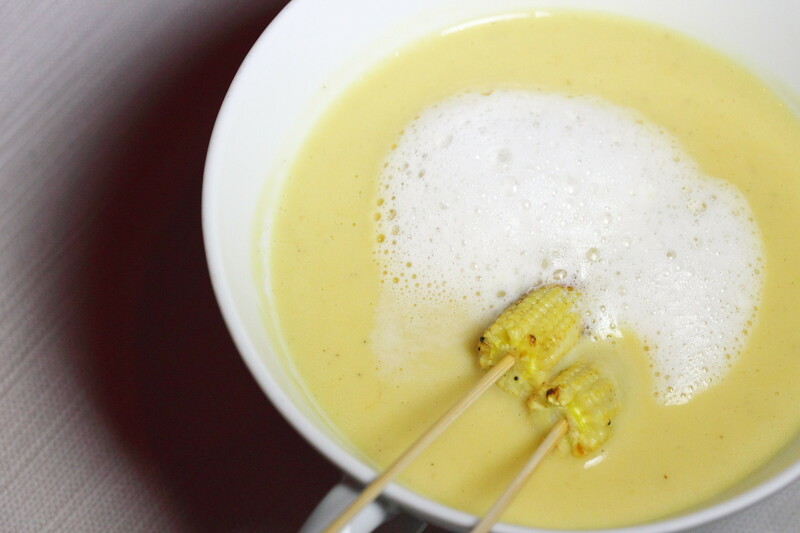 The bowl of comforting sweet corn soup made from pearl corn and PIRA grilled baby corn will be a delightful treat. For the mains, one has a choice between the PIRA Grilled Canadian Tenderloin and Spanish Rice Stew. 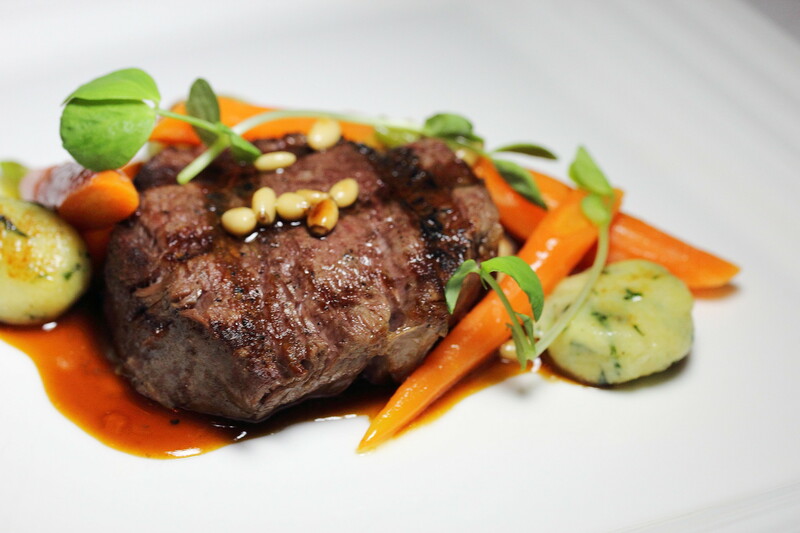 The PIRA Grilled Canadian Tenderloin is served with basil gnocchi, baby carrots and red wine sauce. While the Canadian tenderloin was perfectly grilled and tender, I felt that it lacked that natural beefy flavour that I enjoyed. However my attention went to the basil gnocchi which was extremely good with the added basil. The Spanish Rice Stew on the other hand fares better with its robust flavours. 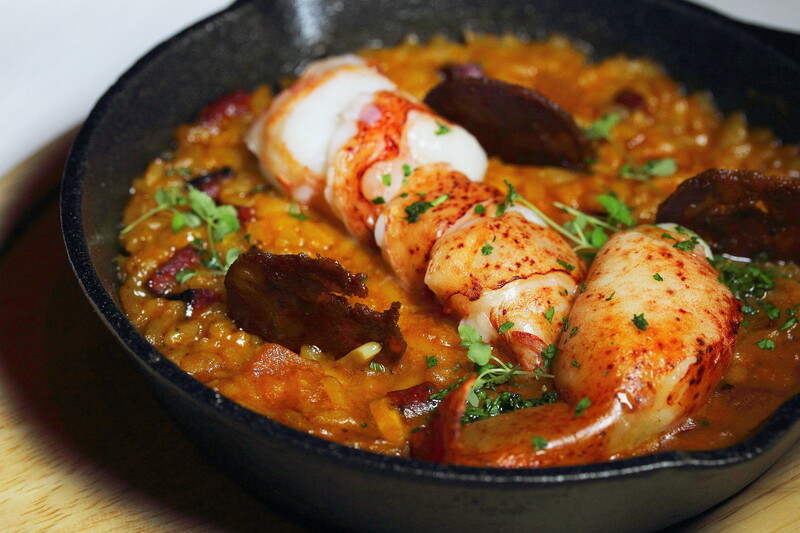 Cooked with Canadian lobster, chorizo and Roma tomatoes, this is a one pot rainbow of flavours that will send you over the moon. Every meal is not complete without the dessert. Wrapping up the 3 course meal is the choice of Marshmallow and Double Chocolate Mud Cake, and Raspberry Souffle. 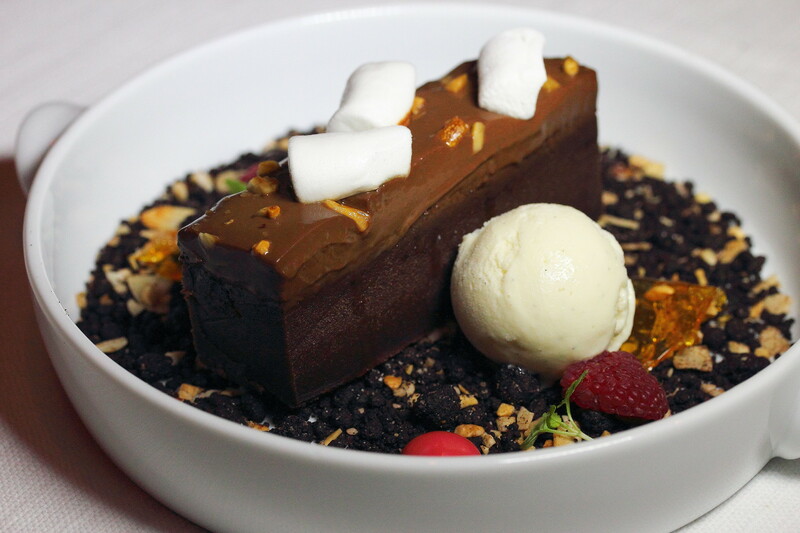 The Marshmallow and Double Chocolate Mud Cake is served with a scoop of vanilla ice cream. This dessert will be a joy to the chocolate lover with its rich and intense chocolatey flavour. The Raspberry Souffle on the other hand is lighter in flavour but as good. 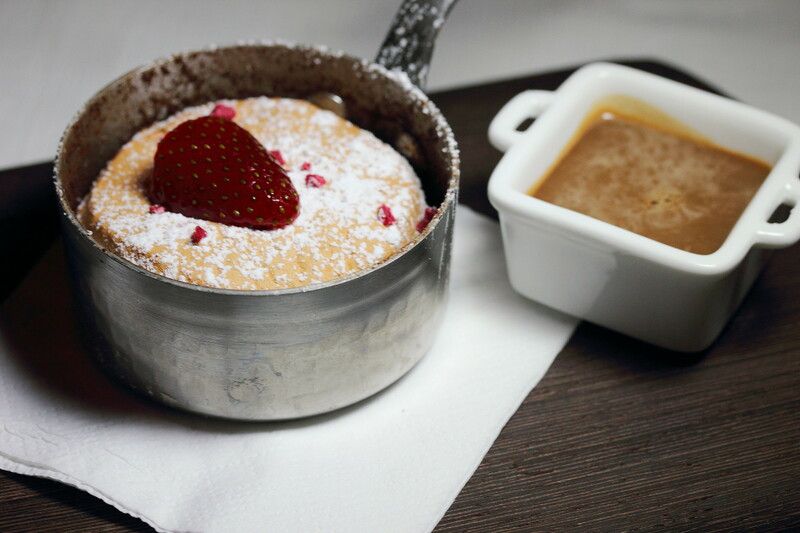 A hole is further cut in the middle of the souffle and chocolate sauce is pour into it. Diners can choose from two seating times on 14 February 2015. First seating at 6pm is priced at $108++ per person or Second seating at 830pm is priced at $138++ per person. Special early bird offers are available till 1 February at $88++ per person (first seating) and $118++ per person (second seating). Wine pairing is also available for an additional $35++ per person.